Incredible Sound!! Wait, there’s only a 3 inch Hole there? Designed to meet high demanding designers criteria while satisfying the most critical of listeners. The James Loudspeaker SA series packs 38hz into a 3-inch aperture. The deep bass and significant excursion pattern emitting from such a small opening is a tribute to James’ engineering excellence. The 63SA-7 is part of the new “Small-Aperture” collection of in-ceiling and in-wall systems that provide high volume levels, deep bass and wide coverage from a small 3″ flush and seamless opening. The system is a true full range, 3-way design with a 20mm titanium dome tweeter, 50mm titanium midrange driver and a 165mm Mini PowerPipeTM subwoofer – all concentrically mounted. The point source mid/high module provides excellent off-axis response and the hidden Mini-PowerPipeTM woofer generates bass below 39Hz for a truly full-range music experience. Yet, the user only sees a 76mm round (or 76mm square) seamless flush opening. The grille configuration has industry standard mounting and accepts high-end lighting trim kits to allow the speaker to match lighting fixtures in the same installation. 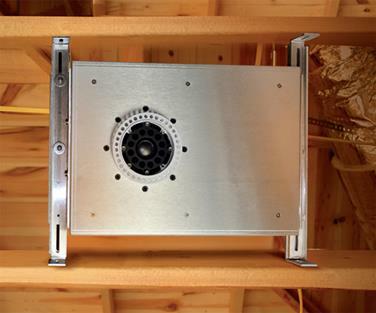 The 63SA-7 is ordered in two parts – the preconstruction kit is the powerpipe subwoofer and is installed before drywall is installed. 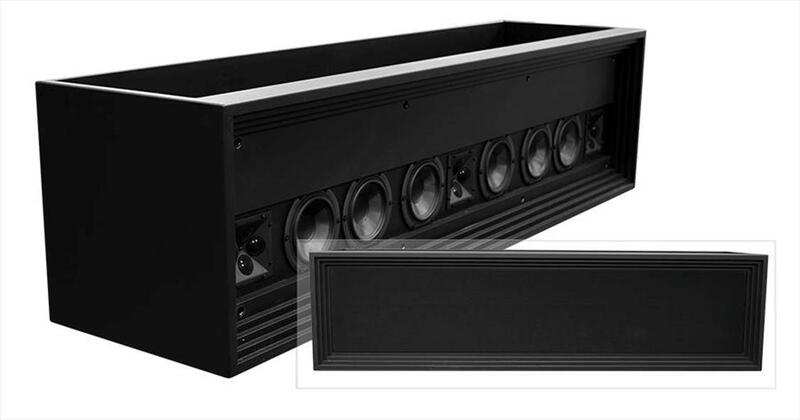 After the construction is completed, the tweeter/mid module is simply connected and installed into the 3″(76mm) opening and the selected grille/trim kit added to complete the installation. “Combining low-profile design, ease-of-installation, and stunning sonic reproduction, the James Small Aperture Series speakers are currently unrivaled in terms of aesthetics and in-ceiling/in-wall performance. Touting a 3-way, 38Hz-22kHz reproduction from a flush, 3″(76mm) opening, these speakers have set the bar for high-end distributed audio. We proudly recommend the Small Aperture line to clients, architects, designers, and builders alike.” — Chris Behmer, Senior Design Engineer. These new speakers offer a truly custom installation that can be hidden in any home and yet still sound great. They also offer a service to custom make any kind of speaker enclosure to match existing décor. We recently had a soundbar made to look and function as a planter box! We replaced a traditional left, center, right speaker system with this and the homeowners couldn’t believe how much better it sounded then what they had.